The weather we’ve been having lately is crazy. It’s cold and feels like fall one day, then the next day it’s warm again and feels like summer is coming back! We’re in one of the weird heat waves right now, so while it is not scorching hot, I don’t really want to use the stove. Hurray for the grill! 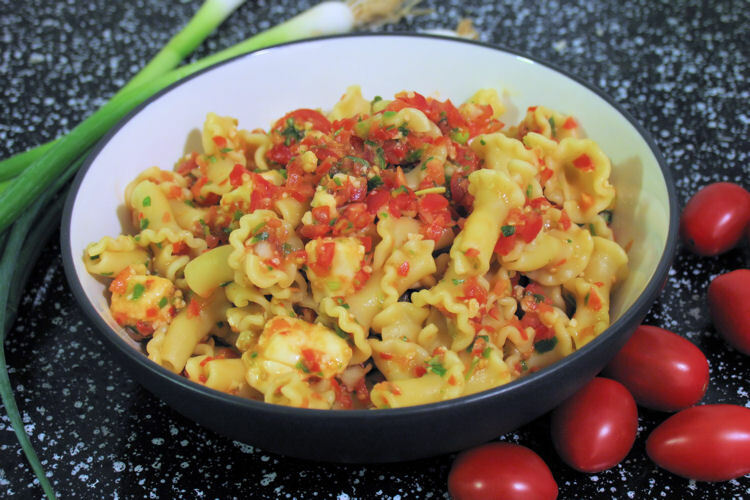 This recipe is perfect for summer, or for the middle of winter when a craving for summer sets in. I have an iron cast griddle that I bought and it’s perfect for indoor grilling. I highly recommend it… perfect for grilling in the winter when it’s too cold or wet to go outside! Now this recipe is a fun little Greek recipe. I haven’t had much in the way of Greek food before, and this is the first time I’ve actually made it myself. 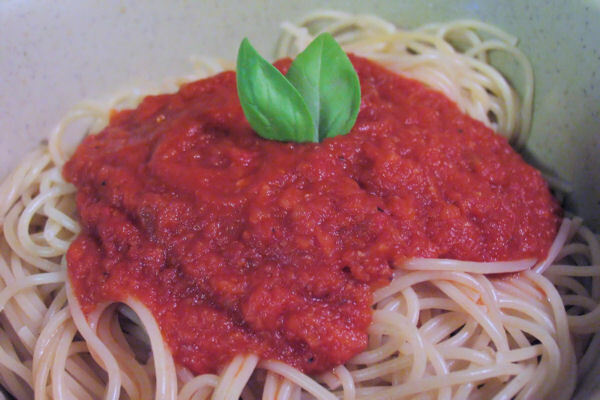 It’s very simple to make, and simple in flavors. The lemon, oregano, and olive oil are a classic Greek flavor combination and it is absolutely delicious! And once again, skewers are such a fun way to serve up food! They allow you to eat right off the skewer, or serve it up Greek-style in a pita. To make the souvlaki: In a medium bowl, combine the lemon juice, oregano, olive oil, salt, and garlic. Add the chicken and toss to coat. Marinate chicken in refrigerator for 30 minutes and up to 2 hours, turning once. Remove chicken from bowl and discard marinade. 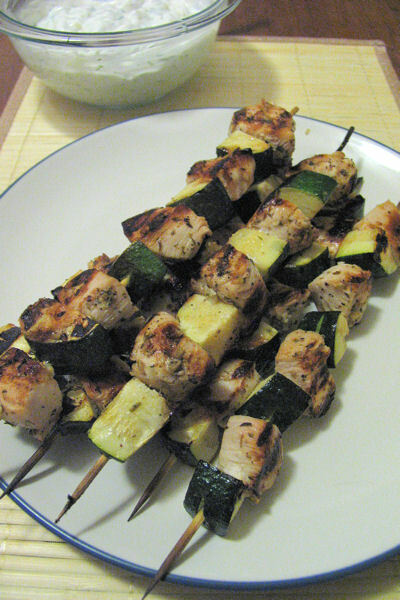 Thread the chicken and zucchini onto skewers, alternating between the chicken and the zucchini. Meanwhile, heat the grill to medium-high heat; coat with cooking spray. Add the skewers and cook 8 minutes or until chicken is done, turning once. To make the tzatziki sauce: Combine yogurt, cucumber, lemon juice, garlic, dill, and salt. Stir well and add ground pepper to taste. 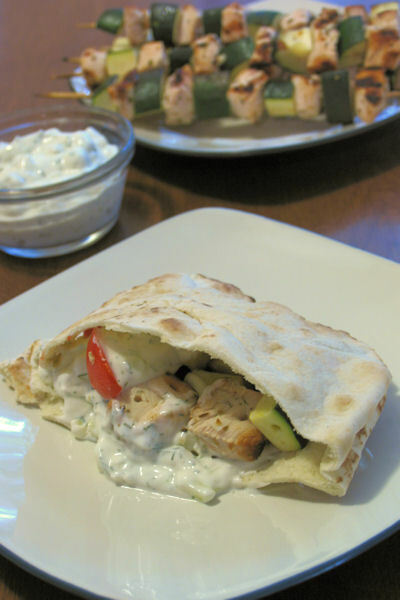 Serve the tzatziki sauce as a dipping sauce for the chicken and zucchini, or use as a sauce in a pita with the chicken and zucchini, along with tomatoes and onions. Happy Labor Day (a little bit early)! I know a lot of people tend to do barbecues or picnics during their three day weekend for Labor Day. I’m jealous of these people… I haven’t gotten a 3 day weekend for a holiday in over 4 years! But for those of you who are off, enjoy yourselves and celebrate the end of summer! These pulled pork sandwiches would be a great way to send off summer. They aren’t officially barbecued, since the meat is done in the slow cooker, but they have barbecue sauce and could work well as picnic food. Note: Feel free to use your favorite bottled barbecue sauce, or your own homemade sauce. 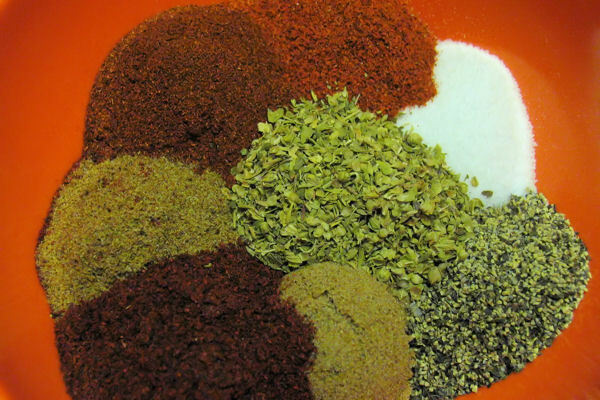 To make the pulled pork: To make the spice rub, combine black pepper through sugar in a small bowl. Massage spice rub into meat. 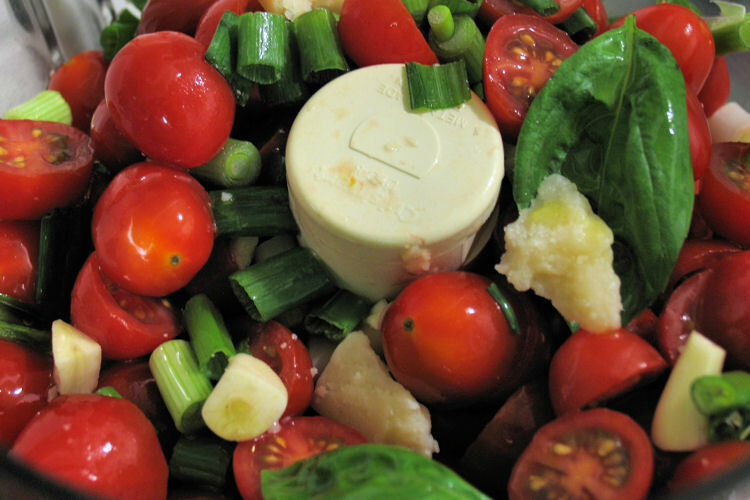 Wrap tightly in double layer of plastic wrap; refrigerate for at least 3 hours or up to 3 days. Unwrap roast and place it in slow cooker. Add liquid smoke, if using, and ½ cup water. Turn slow cooker to low and cook for 8-10 hours, until meat is fork-tender. Transfer roast to cutting board; discard liquid in liner. 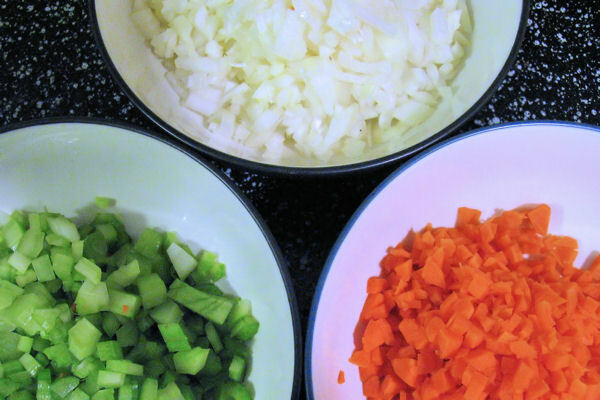 Pull meat by tearing it into thin shreds with two forks or your fingers; discard fat. 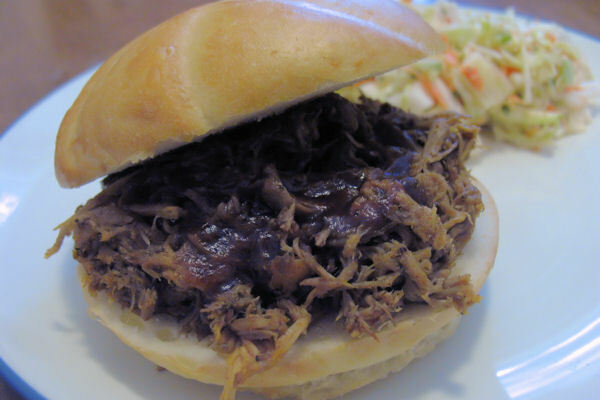 Place shredded meat back in slow cooker; toss with 1 cup barbecue sauce, and heat on low for 30-60 minutes, or until hot. 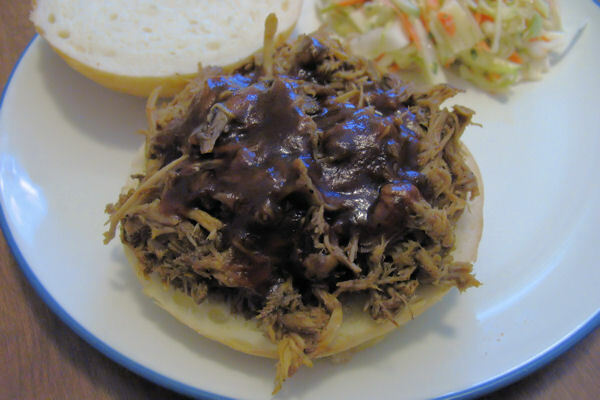 Serve on rolls, pouring additional barbecue sauce on top of the meat as desired. 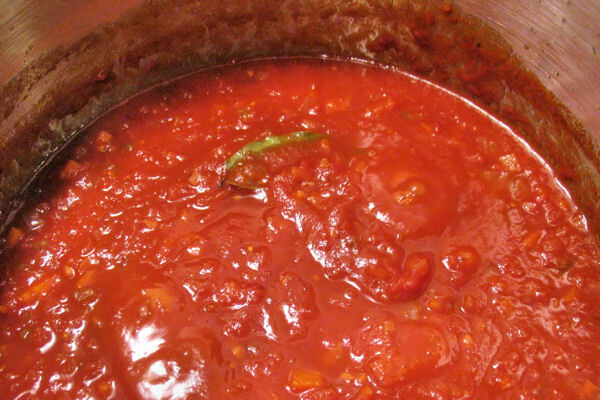 To make the barbecue sauce: In a small saucepan over medium heat, combine all ingredients and heat through.